Practice, practice, practice! This is probably the advice you receive all the time from your clarinet teachers or other fellow musicians. Sometimes the journey towards finding your own “voice” can be challenging and sometimes overwhelming. Maybe you need a change in perspective and to receive advice from different teachers. Why not try it out? It might work out or it might not, but at least you will know that you have tried it. 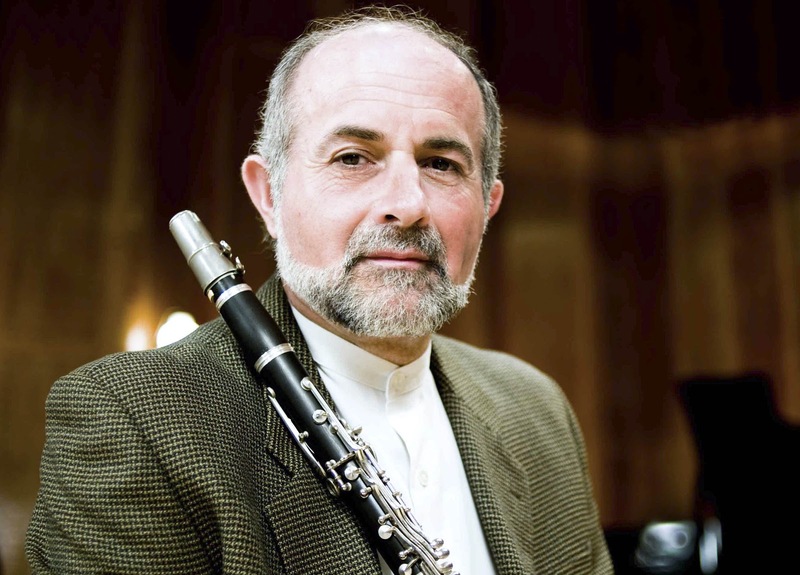 Yehuda Gilad is a clarinet professor at the University of Southern California and he has travelled the world teaching young clarinetists about the challenges of playing and how to overcome them. Usually, he is very private with his teaching but encouraged through Play with a Pro, he understood that there are many talented students out there who could benefit from his advice. In an interview with us he answered questions from both students and teachers. If you prefer to watch the full video interview you can find it here for free. 1. How can you prevent tension in the arms while playing? There are many ways to deal with that. But I am very careful to diagnose something that I don’t see. I think one thing to remember is that if the position of your fingers feels unnatural for your hand then you will get some tension. The interesting part is how to deal with that, how to accept it and to relax it. By default you will get some tension because everything you do involves tension. Number one in my opinion is to try to get away from it up in your mind, to separate the mind from the real. And it’s real. Close to my thumb I have a little thing and I think we all do, it depends on how I hold the clarinet. I never really pay attention to it. It’s about the thumb position. If you hold it too tight, of course you get tention. I am not a doctor, but I would say that, for me it works to relax the thumb on the clarinet into a natural position. I get less tension. It worked for me, but it might not work for you. Of course you can do a neck strap, but you are really just shifting tension. 2. Your students are winning many competitions… what is your contribution to that? Every student, is student of many, and every student is a student of the whole picture. My point is that everyone has their own different way of growing. They are like trees - they grow in their own way. The trunk is as important as the branches. The branches are as important as the flowers. So, I help some of my students to build the trunk and some of the branches. I believe that without the trunk the flowers could not have blossomed as beautifully as they did. Some others, I help them build all the branches, they have the trunk, so I help them build the branches. Some, I just help open the flowers. I believe in experiences. I am a guide. For my students it might take longer to click or get the concept, but when they get it, it will be for life. I don’t teach for today, or for tomorrow or not even for two months from now. I teach for life. 3. Should students try to imitate or find their own style? I refuse to believe that imitation can give you the sound that you want. Imitation of something will always become cheap imitation. We all have a different voice. The education should deal with your own type of vocalism and you should find it. Of course the search might take longer than if someone demonstrates something and you pick it up. My job is to help you get in touch with your voice. 4. How should one deal with nerves? If you aren’t nervous when you play, that means there is something wrong with you. That means you don’t care. Every time when you are vulnerable, you get nervous, because you want to do so well. When the idea is “I”, it is quite a selfish idea. In my opinion you should start trying to get the ego out of the way. Our first mission as performers is to take the power away from the audience, because they have power on you. You think that they payed to come listen to you playing. You have a lot of responsibility. But then comes the moment when you take the instrument and you are the artist, you are the actor and you have to be able to act the part, to be the music director and just enter into the part. So, you can try to do all these mental exercises. 5. Is there a difference between the level of students today than the one of students 20 years ago? In general there is much better teaching, there are much better players and the demands on the players are limitless and much higher. When you went to an audition in the States, you used to have 20 people coming and right now you have around 100 competitive applicants. Now, what I believe is missing and might be a challenge for future generations, is the wish to get faster and faster in the composition of music and stretching the limitations of the clarinet. Every time they are raising the bar, because of you guys and how great you can be, you push higher and higher. The danger that I see is that you can lose the core and something will be lost. 6. Do you think it’s useful if students play in front of a mirror to check their position while playing? Every time. For me it’s very helpful. But, having said that, by watching yourself play in front of the mirror, you will see that you can’t play perfectly. What I saw at the younger generation is that they have the tendency to compensate, maybe because the instrument it too big or too massive. My recommendation is to not start clarinet playing before the age of 10 or 11. One of my regrets is that I never studied the piano and I think that everyone should do that, just to get the understanding of vocalism, cords structure etc. 7. How should students practice? One should practice in an effective way. I think the thing about practicing is precisely the discipline of making sure that everything has got a reason, first the why and then the how. You have to reason, you have to beautify your sound. It’s the attention on your work and this is the hardest thing when practicing.